Don't get your hopes up for, "With the first pick, the Wizards select....."
As Gilbert Arenas has made a confidence-building return to the court, the Wizards youth receives development and the team is still losing ... Wiz fans are about as content as they can be -- sleeping on a cursed bed of nails. Currently, at 17-58, the Wizards are half a game behind the Kings for the worst record in the NBA with seven games left. Mounting losses means a better chance at the first overall draft pick, and a shot at landing the much needed interior grit of rebounding and dunking machine, Blake Griffin. The Wizards have only struck lottery gold once, and even that turned into nothing more than fool's gold ... damn Kwame Brown. In '01, the Wiz finished with the third-worst record and jumped over the Bulls and Warriors to select Baby Kwame, now known as Jordan's folly, which didn't exactly turn out positive like Seward's. Since the inception of the draft lottery in '85, the Wizards have missed the playoffs 15 times. In seven of those instances, their lottery position has matched that of their record. The worst instance came in '93 when the Magic, 76ers and Warriors all jumped ahead of Washington. While the Wiz could have taken a three-time All-NBAer in Penny Hardaway (before the knee problems), they ended up with the lackluster career of Calbert Cheaney. 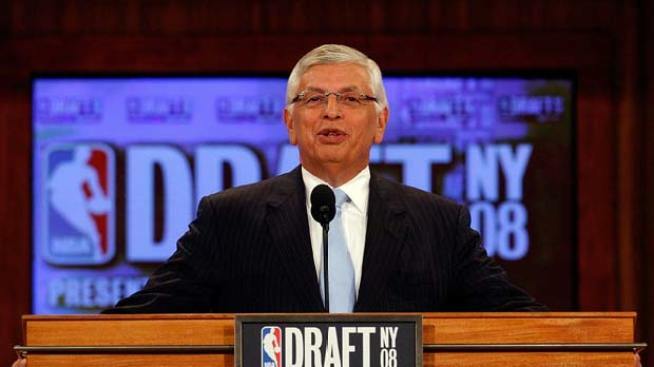 *Note: in three of those instances, the Wiz traded their pick ('90, '00, and '04) -- In 2004, the Wiz actually lost two positions, making the total 12, because the expansion Bobcats were locked in with the 4th pick. Kyle Weidie also writes Truth About It and contributes to Bullets Forever, both Washington Wizards blogs. He plays Powerball for the thrill of losing.